Just a small update here for you, while we clean up the hamster cages, and fluff the pygmy fur. In Create a Sim, you can find a new full body outfit based on the one worn by Noctis Lucis Caelum from Final Fantasy XV. The outfit can be found under the full body category, or in the Styled Looks! This outfit can be worn by male and female Sims. We fixed an issue that could cause the Set as Front Door interaction to be greyed out inappropriately. The Defender light that keeps the monster under the bed from appearing will now also work for non-household children. We fixed a clipping issue that occurred around the legs with the yfBody_DressFlutter. We have addressed some flow issues with the Save As option that could result in overwriting saves unexpectedly, as well as file naming issues. Bars can now be found in the Creative sort under Activities and Skills (in Build Mode). Chicken Nuggets is now an option under Have a Quick Meal on the microwave. Breading, under cooked chicken, and a mushy texture. I don’t know. Give it a try. Sims should no longer pick an Out of Stock sign to read as a book. Doctors, have you been asked to Deliver a Baby for your daily tasks, only to find that nobody is showing up at the office ready to go? Well, we’ve taken care of that for you! Our baby guarantee states that within the first couple hours on the job, you will be sure to find a pregnancy ready and waiting for your care. No longer do you need to fear losing out on that promotion, the babies are eagerly awaiting upon you! The Bubble Blower is now an available club rule option. Sim Statues will once again wear gold makeup. The Run Run Runnerway table will now properly change color as you choose different swatches. 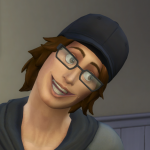 A hungry Sim that orders a butler to make a meal will now wait a reasonable amount of time before giving up on the butler and making their own meal. Butlers should no longer hoard How To Serve and Not Be Served books in their inventories. Many butlers are still anticipating the To Serve Sim novella, but translations are taking longer than expected. Ghost sims can now be invited to bowl with you on a bowling lane. “It is by will alone I set my mind in motion, and the ball down the lane,” the mantra of the ghostly bowler. Earbuds can no longer be salvaged into parts, as this was leaving them in a bad state. Sims should no longer attempt to stare through walls in order to watch a climber on the Treadmill Rock Climbing Wall. We’ve added a lead component to most wall materials. Sims can now load clothes into their washer and dryer even if there is a shelf above the object. Warm laundry should no longer kill your Sims. The playful buff received from wearing warm laundry has been reduced in its strength. Sims will now autonomously unload the wash tub when they are finished washing. Laundry left in the wash tub will no longer dry from being ignored. I dunno, I’m waiting to see. Replacing a washing machine after a fire, should no longer cause the machine to lose all of its functionality. yfTop_SP13BlouseRuffles can now be worn with many necklaces, and the necklaces will remain visible. Also, we have fixed various clipping issues with this blouse and long hairs. Thank you for reading to this point. If you have a moment longer, I hope you make it to the end.